Burke 3 Seater Sofa, Coffee, is a cozy and snug seating sofa made with the goal of providing comfortable seating. The sofa frame is made up of solid wood, which provides strength to the furniture. The seat construction is a mixture of webbing and foam providing a comforting thrust. The back construction is made completely out of foam, which provides a straight posture to your back. 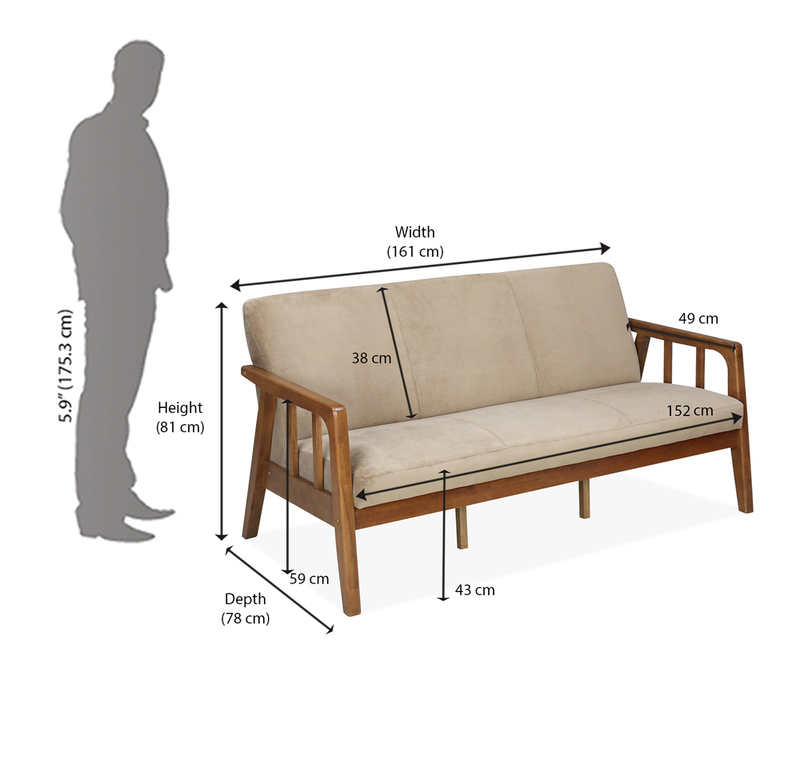 The weight of the sofa is 28 kg which makes it easier for you to move around. The upholstery of the sofa is made of good quality polyester. The legs are made up of solid wood, which makes the furniture's base strong and tough. Burke 3 Seater Sofa, in coffee colour, has a melamine finish. The solid wooden frames give steadiness to the sofa. The sofa would give an authentic look to your living room. The height of the sofa makes it comfortable for you to sit giving your legs a rest. A foam seating will ease up your stress and offer you immense comfort. If you want a classically styled sofa which could go with your walls and provide a pleasant look to your room or courtyard go with Burke 3 Seater Sofa, Coffee which is available @Home. @home by Nilkamal Fabric Provides Comfort while seating.Solid Wood Frame gives sturdiness to the Sofa.Backrest & Seat is not removable.